This DSM solution was created to support co-design of functional architecture and hardware architecture. 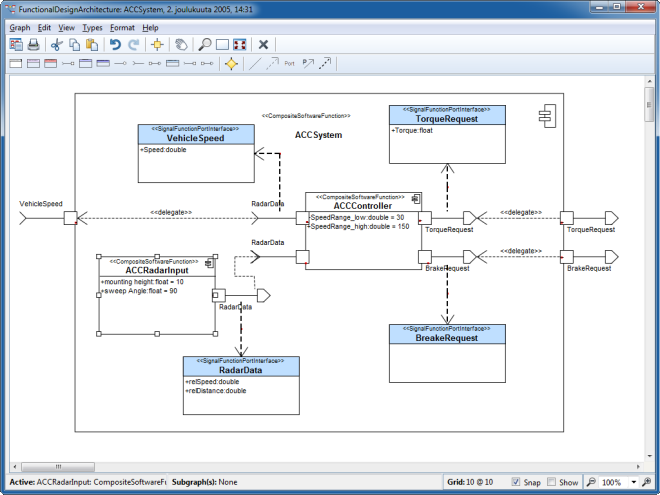 The functional architecture describes the system functionality through its logical components and their connections. The hardware architecture specifies the actual physical components of the system, such as sensors, actuators, processors and bus definitions. 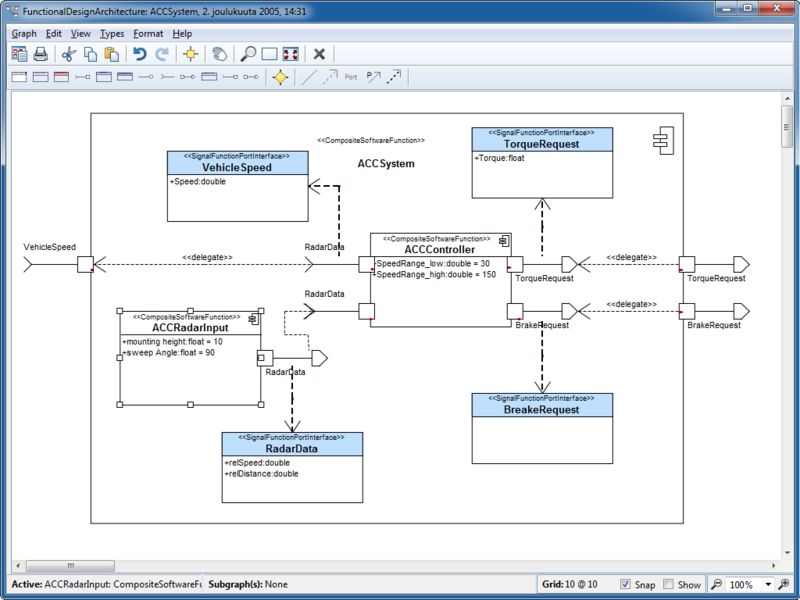 Components and connections specified in the functional architecture models can be assigned to specific elements in the hardware architecture models. The integration of the two modeling languages allows the development team to work concurrently in developing the whole system, and to trace between the different views. For example, by specifying different hardware architectures the development team can search for an optimal distribution and bus architecture. 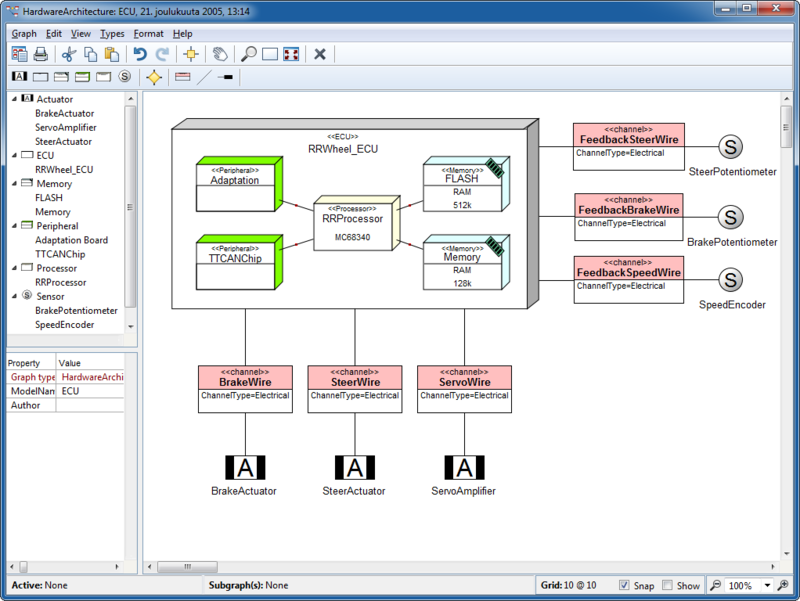 The functional architecture models can also display dynamically calculated annotations to show how different hardware architectures satisfy the planned functional architecture. The generators produce code for field bus definitions and configuration for the distributed system.